Remove this entry. 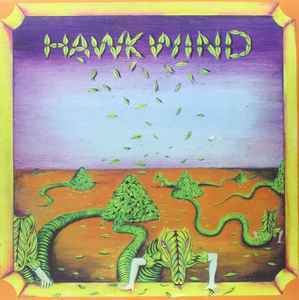 It is already in the Hawkwind 'Hawkwind' data base section. No need to add it twice when not needed. I have this, but there is no RP1 168750 number anywhere on my cover. i give up record store day. too many albums like this one that you overpay during record store day. Rest in peace DikMik. Your contribution will shine forever on this masterpiece of an album. Mine also sounds like a used record when new, cleaning (low effort) didn't help. I have never noticed this on other 4 Men pressings. Total Bummer. The labels on my promo copy (indicated by diagonal corner cut on cover) match this version . I'm not sure if this is the case with all which have this label, but I haven't seen one which isn't a promo. "4 men without ears" have done a real number on the sound production on this one . to say it sounds dull would be a massive understatement/compliment . it's also very crackly and pops a lot similar to a thrift store record . Record looks and sounds wonderful, pressed on heavy orange vinyl.